A suitable theory to serve as scientific grounds for a digital forensic science is still elusive. Such a theory needs to satisfy the demands imposed by science and justify the facts derived as evidence using the theory. A number of grounding theories have been proposed. 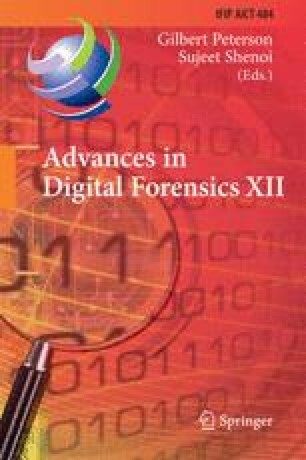 This chapter revisits three prominent theories, those of Gladyshev, Carrier and Cohen, and: (i) determines the requirements they suggest for a digital forensics theory; (ii) analyzes their primary differences; and (iii) assesses them using the norms that exist for science. This enables us to sketch the outlines of a new theory that better reflects the scientific requirements and the intended application of forensic science in a digital context.